Most people know about the importance of Calcium and Vitamin D for proper body function, but many people are unaware of the importance of Magnesium. 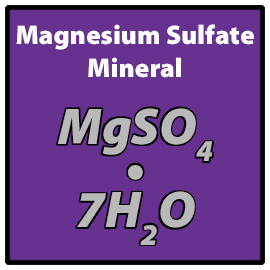 Many people and most domestic event horses are lacking in the proper levels of magnesium. Physicians and Veterinarians will say that lack of proper Magnesium levels stems largely from the increasing prevalence of processed foods or manufactured diets. Today, adults and most likely the majority of horses consume less than the recommended daily allowance of magnesium, according to the Journal of the American College of Nutrition. Naturally occurring minerals magnesium and sulfate can help improve health in numerous ways. Doctors caution that a lack of magnesium, which helps regulate the activity of more than 300 enzymes in the body, can contribute to anxiety, hyperactivity, high blood pressure, heart problems and other health related issues. Sulfate is also essential for many biological processes, which help form mucin proteins in the joints and muscle tissue, as well as, flush toxins from the system. Magnesium plays an important part in nerve and muscle function, and horses deficient in this important element can show signs of nervousness, wariness, excitability, and muscle tremors. Deficient horses are likely to have a poor tolerance towards exertion, as muscles may become stiff or tie up unexpectedly causing impairment to ligaments, tendons and joints. 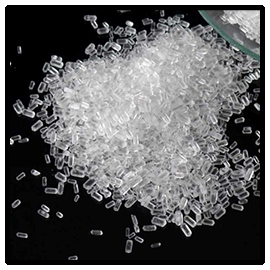 Magnesium Sulfate USP by nature of the product, has a reputation for producing a calming influence on horses, mules, and donkeys. Magnesium is also known to play an important part in reducing equine obesity, and can lessen the risk of laminitis in animals prone to hoof sensitivity during periods of strong spring grass growth. The magnesium requirement of a typical horse is put at 13 milligrams per kilogram of bodyweight per day, or a 1200 pound horse requires approximately 15 grams per day. In general, a horse is likely to get between 60% and 100% of its daily magnesium needs through a normal forage diet. Deficiencies are most likely in spring, during periods of strong grass growth, and even in winter on pastures in milder areas where grass is being pushed along with fertilizer. Horses that are growing, lactating, or working hard will use more magnesium each day. For example, a lot of magnesium can be lost in sweat and urine. For such animals, the quantity of magnesium could be increased 10-20% the recommended maintenance dose. Opinion appears to vary on whether magnesium supplementation is needed at all. This of course, depends in part on the type of feed and supplements or whether the horse is grazing on soils deficient or adequate in the element. Proper oral or transdermal supplementation of magnesium in a deficient horse will have a dramatic effect on its behavior, temperament and overall wellbeing. Most of us know about the importance of iron and calcium for our bodies, but what about magnesium? It is the second most abundant element in human cells and the fourth most important positively charged ion in the body. It helps the body regulate over 300 enzymes and plays an important role in organizing many bodily functions, like muscle control, electrical impulses, energy production and the elimination of harmful toxins. Another factor in decreased magnesium levels has been our focus on getting enough calcium. It’s a delicate dance–calcium depletes magnesium yet calcium functions best when enough magnesium is present. Studies indicate that taking a calcium supplement without enough magnesium can increase the shortage of both nutrients. Researchers have found that many Americans have five times as much calcium as magnesium in their bodies, although the proper ratio for optimum absorption of both minerals is two to one. Sulfates play an important role in the formation of brain tissue, joint proteins and the proteins that line the walls of the digestive tract. They stimulate the pancreas to generate digestive enzymes and are thought to help detoxify the body of toxic agents and environmental contaminants. With such widespread magnesium deficiency one might think that magnesium supplements would be called upon, but studies show that magnesium is not easily absorbed through the digestive tract. The presence of specific foods or drugs, certain medical conditions, and the chemistry of a horse’s stomach acid can render magnesium supplements ineffective. That is why it is important to know that magnesium sulfate has a transdermal effect and is easily absorbed through the skin as a lotion, spray or USP magnesium sulfate crystal soak. Transdermal magnesium (delivered through the skin) is an efficient way to deliver magnesium to muscle tissue as it bypasses the digestive system all together and can be rapidly taken up by the circulation of blood capillaries. Transdermal application can be very therapeutic prior to athletic competition especially for the nervous horse and post work out helping the body to recover and relax muscles. Dr. Milt’s topical magnesium therapy is available in sprays, lotions and a pure magnesium sulfate crystal form that can be dissolved in warm water, sponged on the horse and rinsed off after 10 minutes. These topical types of applications are one of the most immediate, beneficial and economical choices of therapy.